For years, Texas megachurch pastor Bob Roberts has been building relationships with Muslims. Last year, after Franklin Graham argued that the US government should ban Muslims from immigrating to America, the NorthWood Church leader joined Muslim leaders in denouncing the comments. 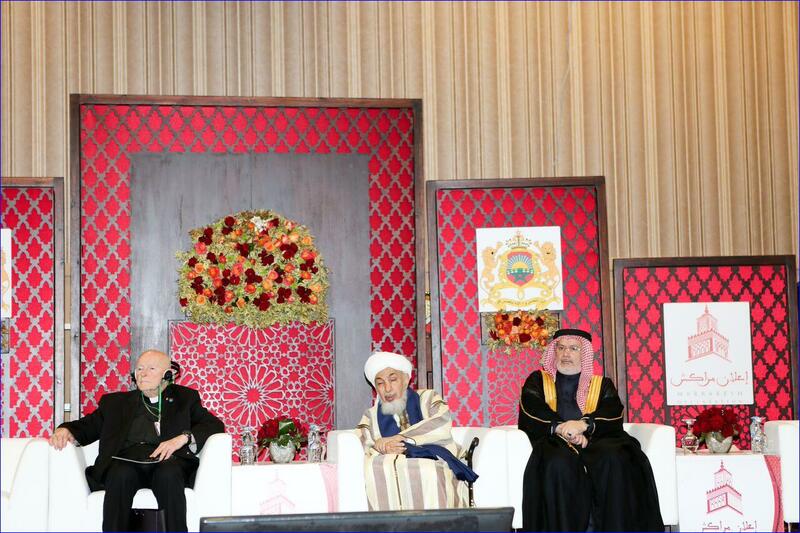 In October, he and imam Muhammad Magid hosted the Spreading the Peace Convocation, which was attended by nearly 200 imams and evangelical pastors.This week, Roberts traveled to Marrakesh, Morocco, alongside more than 250 Muslim religious leaders, heads of state, and scholars, for a groundbreaking summit. On Wednesday, the Muslim leaders released the Marrakesh Declaration: a 750-word document calling for religious freedom for non-Muslims in majority-Muslim countries [full text below]. Led by 80-year-old United Arab Emirates sheik Abdallah Bin Bayyah, who leads the Forum for Promoting Peace in Muslim Societies, and sponsored by the government of Morocco, the summit looked to Muhammad’s Charter of Medina when drafting the declaration. From the seventh century, the document gives instructions for governing a religious pluralistic state, and was issued shortly after Muhammad arrived in Medina. In particular, the declaration references the charter’s “principles of constitutional contractual citizenship” and “freedom of movement, property ownership, mutual solidarity and defense, as well as principles of justice and equality before the law,” in regards to Muslims and non-Muslims. “The objectives of the Charter of Medina provide a suitable framework for national constitutions in countries with Muslim majorities, and the United Nations Charter and related documents, such as the Universal Declaration of Human Rights, are in harmony with the Charter of Medina, including consideration for public order,” states the Marrakesh Declaration. The declaration challenges a broad network of Muslim stakeholders–including educational institutions, politicians, and artists–to fight extremism. Other evangelicals that attended included Rick Love, the president of the Denver-based Peace Catalyst International, and Travis Wussow, who directs international justice and religious freedom at the Southern Baptist Convention’s Ethics and Religious Liberty Commission. And as organizations such as ISIS, Boko Haram, and al-Shabaab push out existing governmental structures, the lack of organized law enforcement leads to “minorities suffering at the hands of violent groups,” stated the report. Roberts, whom CT interviewed on his “glocal” church movement, and others tweeted highlights of the conference under #Marrakesh2016. AFFIRM HEREBY that such cooperation must be based on a “Common Word,” requiring that such cooperation must go beyond mutual tolerance and respect, to providing full protection for the rights and liberties to all religious groups in a civilized manner that eschews coercion, bias, and arrogance. BASED ON ALL OF THE ABOVE, we hereby: Call upon Muslim scholars and intellectuals around the world to develop a jurisprudence of the concept of “citizenship” which is inclusive of diverse groups. Such jurisprudence shall be rooted in Islamic tradition and principles and mindful of global changes. AND FINALLY, AFFIRM that it is unconscionable to employ religion for the purpose of aggressing upon the rights of religious minorities in Muslim countries. « Pratulin Martyrs Today – Would I do the same?